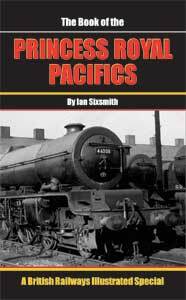 Latest in the longstanding Book Of series, in FIVE PARTS to adequately cover the vast number of locomotives involved. PART ONE describes the first 126 pre-War examples built by the LMS, 8000-8125 which became 48100-48125. Many were sent abroad and not all by any means returned. Some, dramatically, were jettisoned in storms to save the ship; some were blown up by terrorists, some were fitted with armour protection and all were worked into the ground  or rather the sand, as their work was in the Middle East, from Egypt through an arc sweeping through Persia to Iraq and Palestine. Some hauled Polish servicemen from captivity in the Soviet Union to join Allied Forces in the Invasion of Europe. Hows that for a Role in History? All these facets of their lives are recorded and illustrated, including those that came home. All the usual works histories and allocations are here for every loco, together with THE DEVIL IN THE DETAIL down to the merest rivet; liveries and tender varieties, experimental episodes and every other facet of these mightily impressive 2-8-0s, which survived to the very last days of BR steam. 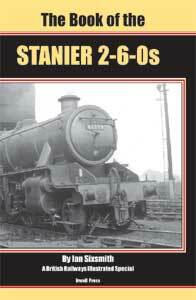 This book looks at the development of the dock railway and the large number of locomotives that worked on it. It is now over 40 years since the Mersey Docks and Harbour Board Railway ceased to exist and, apart from the occasional magazine article or photo, nothing much of any consequence has appeared regarding this once famous dock system.Under the Mersey Docks and Harbour Board, the Port of Liverpool stretched for seven and a half miles along the east side of the River Mersey, having been made up of some 35 docks built from 1715 until 1927. The docks main line ran the length of its perimeter along the west side of the dock road from Herculaneum Dock in the South to Gladstone Dock at its northern limit but the docks themselves did not contain the sprawling network of tracks or any of the vast marshalling yards seen at the likes of London and Southampton. The MD&HB railway contented itself to be merely a haulier between the quaysides and the large number of railway company goods stations that had mushroomed along the east side of the dock road as the port expanded along the Mersey shore. These were, with a few exceptions, connected to the dock railway at various places along the way and became focal points of the docks traffic where freight was sorted and marshalled for onward transit.In 1904 an agreement had been reached which saw all docks traffic, between the quaysides and the railway depots, operated and administered by the Chief Traffic Manager of the MD&HB who employed a growing fleet of locomotives to convey the various railway company wagons together with its own internal stock. When this came into force the following year, it led to a highly organised and more economic system that ran until closure of the dock railway in 1973. Latest in the longstanding Book Of series, in TWO PARTS to adequately cover the great number of locomotives involved (245 no less). The story begins with the Crabs as a new concept at the time of the Grouping; a powerful modern Mixed Traffic loco intended as the precursor of a standard range and how the concept turned to dust in early LMS internal machinations. All the usual works histories and allocations are here for every loco, together with THE DEVIL IN THE DETAIL down to the merest rivet, from liveries and tender varieties, brakes and lubrication, to experimental valve gear and every other facet of these mightily impressive moguls. This book is a collection of memories, experiences and anecdotes from one who joined the London Midland Region (LMR) of British Railways (BR) and trained as an engineer, mainly in civil engineering, with that organisation. The book is set out chronologically and it is not intended in any way to be an exhaustive description or history, because the authors acquaintance was far from comprehensive. Beyond Crewe that acquaintance, apart from cab riding, reduces to a handful of locations almost entirely concerned with bridgeworks or, later, photography. The authors involvement in the electrification project work gives the narrative a southern emphasis. At one time he was responsible in the Divisional Civil Engineers organisation for permanent way (p.way) renewal, then maintenance on the Euston-Shilton and St.Pancras-Oakley sections, which means that he knew the routes well in the 1960s. On the other hand bridge works, new works, schemes and surveys tended to be location specific. His site experience was gained during the electrification of the West Coast main line (WCML), and the work involved with that enormous change is woven into the narrative. Part 5 completes this series, with the Caprottis and the final LMS and BR-built locomotives. As weve discovered, the Black 5s were not all the same  far from it. The story has unfolded in an approximate chronological sequence, which makes sense  at least more sense than other approaches. So the books are arranged in the order in which the locomotives were introduced, with an added twist that particularly in matters such as boilers and tenders there is a certain amount of back and forward cross-referencing. Some details are covered in more depth in the earlier books and only summarised in the later parts. Part 1 covered the background to the design, the first fifty locomotives from Vulcan Foundry and the 1935 engines built at Crewe, and this part deals with the similar 1935 Vulcan Foundry and Armstrong Whitworth locomotives. Part 3 will describe the Mark 2 1936 Armstrong Whitworth locomotives and will sweep up the remaining pre-war engines. Part 4 will deal with the war-time and immediate post-war LMS batches leaving Part 5 for the Caprottis and the final LMS and BR-built locomotives. As we will discover, the Black 5s were not all the same  far from it . The story unfolds in an approximate chronological sequence, which makes sense  at least more sense than other approaches. So the books are arranged in the order in which the locomotives were introduced, with an added twist that particularly in matters such as boilers and tenders there is a certain amount of back and forward cross-referencing. Some details are covered in more depth in the earlier books and only summarised in the later parts. Since this book was published in 2002 The Book Of series of locomotive studies has developed into something of a library devoted to more and more of the principal BR steam classes. A number of titles have sold out over and over, and have been reprinted or are in the process of being reprinted. The Book of the JUBILEE 4-6-0s sold out in 2004 and with the growing popularity of the series the demand has been to reprint this very popular class of locomotive. After a short pause to gather breath following Parts 1 and 2 covering the Mark 1 Black 5s it was time to embark on this, Part 3, which deals primarily with what came to be the largest batch of ostensibly identical locomotives to run on the LMS. 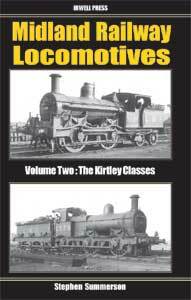 These Mark 2 Armstrong Whitworth locomotives may have started life all the same but there will be sufficient for the engine picker to work with, and the final twenty pre-war engines also covered in this volume introduce plenty of subtle differences. The books are arranged in the approximate chronological sequence in which the locomotives were introduced, with an added twist that particularly in matters such as boilers and tenders there is a certain amount of back and forward cross-referral. In the spirit of ensuring that if you buy one book you will surely need the others to complete the set then some details are covered in more depth in the earlier books and only summarised in the later parts. When a class of engine is christened by enthusiasts Doodlebugs or Flying Pigs, amongst a number of other less than admiring nicknames, there is an implication that the LMS Ivatt Class 4 2-6-0s were not the most admired of locomotives. Little has been written about them compared with their more glamorous brethren and it seems that in their early days there was some confusion about their purpose. They were the last steam design produced by the LMS and intended as a replacement for the 4F freight engines, but much of their time was spent on passenger work. They were quickly re-designated mixed traffic engines by their new British Railways owners and this book uses 4MTs as an appropriate short-hand for these 2-6-0s. In their early days the 4MTs had something of a Jekyll and Hyde existence: although fitted with all the post-war labour-saving fixtures and equipped with well-intended creature comforts for the enginemen, there was obviously something amiss in their proportions because they were often chronically short of steam. It took several years and some Swindon magic to make a few simple but transformational changes to put them right. After that, they settled down and became widely travelled and generally well regarded, at least by railwaymen if not by enthusiasts. As is now standard in the Book of series a large chunk of the material by volume comes from the Engine History Cards and Engine Record Cards aided and abetted by information begged and borrowed from a number of sources, and backed up by a large number of photographs. In October 1993 Dennis Lovett was seconded by InterCity to work part time on the North London Line Modernisation Project as Communications Manager, joining the project team full-time when InterCity headquarters closed in March 1994. He suddenly found himself working on a piece of railway about which he knew very little and soon discovered that this was a line with a very complex history indeed. He found throughout his railway public affairs career that it was important to read up on lines such as this, in order to have the answers, so that when journalists and others asked the questions, he either knew the answer or where to find it in the quickest possible time! He would often attend meetings or brief journalists about the project, when questions would inevitably be asked about the lines past. The modernisation of the North London Line in the mid-1990s created a great deal of attention and in order to understand its future, it was necessary to get to grips with the past. Over the two years he worked on the project, such information was collated. It was not then the intention to produce a book but as the project passed to others, he was persuaded that the collected information should be placed before a wider audience. Little did he realise that when his day to day involvement with the project finished, that it would take so long to achieve the desired result or that it would continue to be of interest ten years after the first edition was published. When asked by our esteemed publishers for help in putting together a tome on the LMS Black 5s in the Book Of series the first question to be answered was, how many volumes? Surely even the mighty Irwell machine would struggle to cope with a thousand pager! After much discussion over sausage sandwiches and pints we came up with the answer - five. So, this Part 1 covers the 1934 batch from Vulcan Foundry and the 1935 engines from Crewe and Part 2 the similar 1935 Vulcan Foundry and Armstrong Whitworth locomotives. Part 3 will describe the 'Mark 2' 1936 Armstrong Whitworth locomotives and will sweep up the remaining pre-war engines. Part 4 will deal with the war-time and immediate post-war LMS batches leaving part 5 with the Caprottis and the final LMS and BR-built examples. As we will discover, the Black 5s were not all the same - far from it - and I trust the reader will follow through the story in the approximate chronological sequence which seemed at the time to make sense. The books therefore are arranged by the order in which the locomotives were introduced, with an added twist that, particularly in matters such as boilers and tenders, there is a certain amount of back and forward cross-referencing. In the belief that if you buy one book you will surely need the others to complete the set, some details are covered in more depth in the earlier books and only summarised in the later parts. Upgraded, Amended. Even better value than ever. The original Book of the Coronation Pacifics was overdue for yet another reprint but when all is said and done, it is a book that is more than a decade old. This updated, expanded and revivified version will delight both those who (unaccountably) managed to miss the original and those whose thirst for these magnificent locomotives can never be fully assuaged. Relative costs/prices mean that the 30-odd pages of introductory notes from the original volume are more or less free! A secondary line wandering through rolling countryside bordered by brooding hills; obscure to modern minds but a substantial double track railway nonetheless, curving and twisting through the pleasant, rural, Alyn and Wheeler valleys, linking the Welsh county towns of Flintshire and Denbighshire with North West England. The Denbigh line was very good, they said, but too good to last. Like so many, it certainly was. A complex story that begins before the Battle of Trafalgar; the canals, industries, railways, political and commercial struggles and rivalries of this little known but fascinating corner of a little known but fascinating county, Staffordshire. Due to a manufacturing error, the final 300 copies of this book have a slight fault on the spine. A small amount of bubbleing occurs under the lamination which is almost undetectable. However, Irwell Press apologises for this error but should customers still like to purchase a copy we are discounting the published price by £1. Little that is wholly new remains to be said concerning any major class of British steam locomotive, though of course there is still a lot to celebrate and illustrate. A similar point was made in the three preceding books of this series  The Book of the BR Standards, The Book of the Coronation Pacifics and The Book of the Royal Scots. There are always a few nuggets to be had, and one or two particularly glistening ones have been introduced to the story of the Princess Royals. The Book Of series of locomotive studies has developed into something of a library devoted to more and more of the principal BR steam classes. A number of titles have sold out over and over, and have been reprinted or are in the process of being reprinted. Beyond this are the Photographic Accompaniments to further celebrate these famous classes. The Accompaniments are fast progressing into a de facto magazine, so frequently are they appearing. The latest is from regular Irwell Press contributor Graham Onley who takes a look at the Patriot 4-6-0s. A 56 page paperback stuffed with mostly new photographs. Since the first one was published in 1997 The Book Of series of locomotive studies has developed into something of a library devoted to more and more of the principal BR steam classes. A number of titles have sold out over and over, and have been reprinted or are in the process of being reprinted. When William Stanier, C.B. Colletts Principal Assistant at Swindon on the GWR, walked out of the Travellers Club after a good lunch with Sir Harold Hartley of the LMS, one day in the autumn of 1931, he was looking forward to taking over as CME on the LMS first thing in the new year. At that moment he could hardly have thought that the first design on which he could bring his notions to bear would be a modest and destined-to-be anonymous 2-6-0. Freight power on the LMS was not nearly as good as Stanier had a right to expect. The Midland 4F 0 6 0 had been widely perpetuated; a good machine, it could have been much better if the axle box bearing surfaces had been man enough for the job. The same failing prematurely terminated the careers of the Fowler 7F 0-8-0s, all the more regrettable for the boiler being an excellent steamer. Similar woes afflicted the Garratts, leaving only the curious Hughes Crab 2-6-0s to shine, relatively, on freight working. In the Stanier revolution that was coming, the hordes of 8F 2-8-0s and Class 5 4-6-0s would alter this picture beyond recognition, but it was destined to start in a small way. One of them, The Mighty Mogul, is prominent in preservation today. The thirty years of the Kirtley era, 1844-73, are a long time ago now. It was a period of rapid change and one of considerable complexity for the historian. Many of the earlier engines did not have long lives, but those built in the last ten years, with a few exceptions, were very long-lived. Their sturdy construction and ready adaptability to accept later and larger boilers resulted in examples of both passenger and goods engines still in use after the Second World War. In this way the more senior members of our enthusiast fraternity have a ready recollection of these ancient engines and form a link with those early days long gone. Indeed, nobody was Anybody in the late 1940s if they had not been to Bournville to see the last of the double frame 0-6-0s gathered there. No.22834 was the ultimate icon. With Johnson pattern boiler, the cab displaying a brass class 1 power class numeral and that amazing horseshoe tank layout of its tender, it was, even in those days, held in some awe as a relic of the distant past. The fact that the Ian Allan ABC said it was class 2 (which was true) and that its tender plate bore the date 1867 (the book said introduced 1868) only increased the fascination. Such little items formed the stimulus for research to sort it out, ultimately to result in this volume. 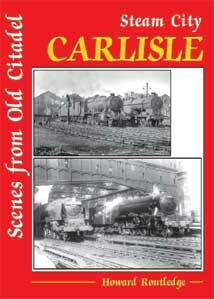 The history of Carlisle as a major railway centre has been well documented over the years, the seven different railway companies that served the city prior to the 1923 Grouping leaving a legacy that lasted well into the 1960s. 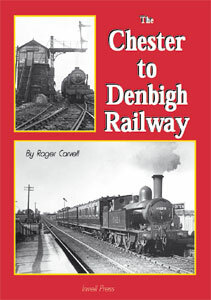 This book, although not intended to give an historical account of the subject, provides a photographic record from 1951 until the demise of steam operations in the city on 31st December 1967. It also includes a look at two of the lines with summits most associated with Carlisle, Shap and Ais Gill, both of which saw steam activities end on the same date. Crewe. What thoughts this name conjures up in the enthusiast mind: Oh Mr Porter what can I do, I wanted to go to Birmingham and they took me on to Crewe. Alan Bakers associations with this railway Mecca go back well into childhood days. He lived in Newcastle-under-Lyme and his Dad used to take him there on Saturday mornings, by train of course, from his local station at Etruria, for a mornings train spotting. He bought him his first Ian Allan ABC at the bookstall on the old Platform 5, the 1955 56 Winter Edition for the London Midland Region, and he has it still. 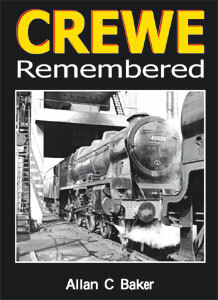 The life and times of a railwayman at Crewe explained and illustrated in exquisite detail. Open up the layers of this chocolate box and you might even have George Lazonby leaving his Milk Tray for you. 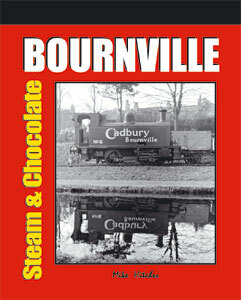 Not only chocolates on offer but the Bournville railway story and a fascinating tale it is too.